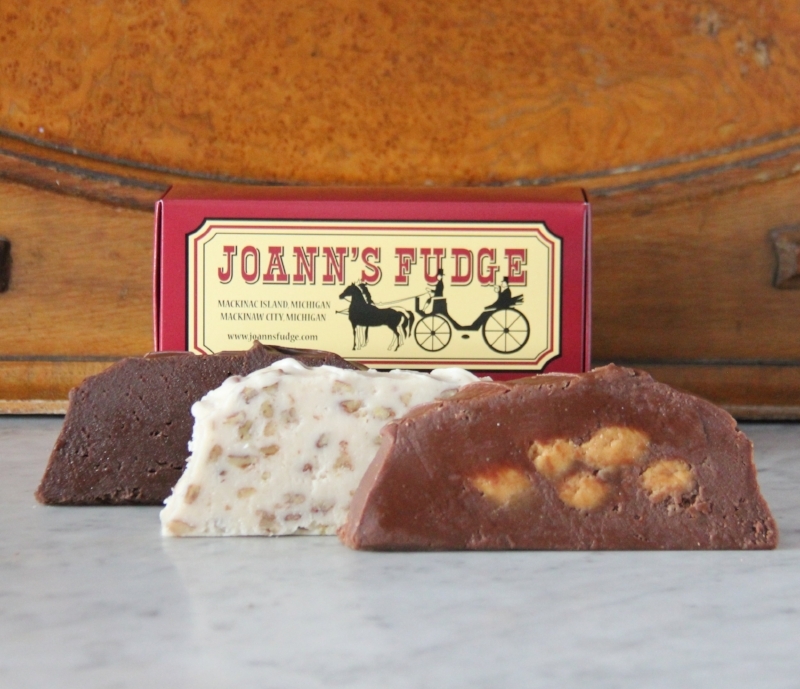 Joann's Fudge + Love = Mother's Day Gift! Mother's Day is the special time of year when we pause to celebrate the most important woman in our lives. Our mother is our first teacher, our truest friend, and our biggest fan. 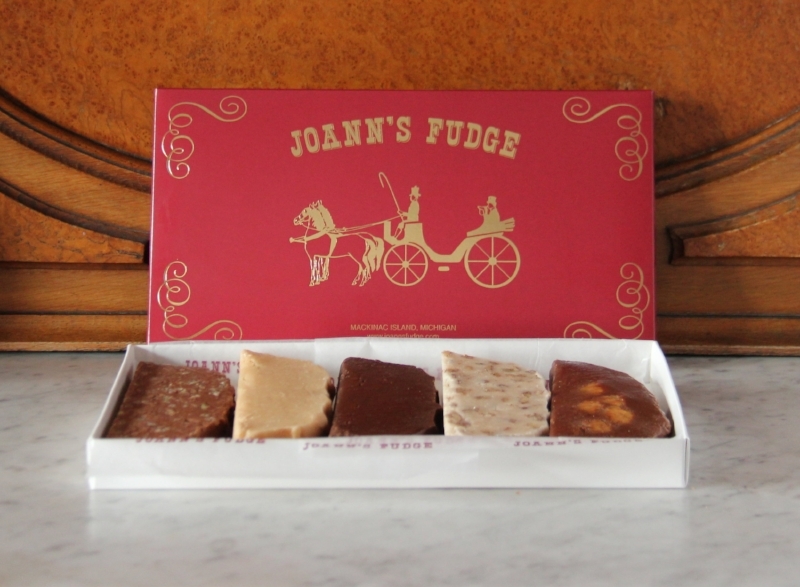 In the Joann's Fudge Family, Joan (Joann) Nephew has been the best friend (and cheapest therapist) to four children and seven grandchildren. We've had the great fortune to have all three generations work together at various times on Mackinac Island. We have kept our organization small, from one store in 1969 to three stores today, so that our commitment to quality can be personally supervised on a daily basis. That's why The Daily Meal rated us "American's Best Fudge Shop", and described us by saying, "The Fudge here is classic and simple, and just about perfect." Surprise Mom with Joann's Fudge for Mother's Day! You can choose from our Classic One, Two, or Three Slice Box - our Four Slice Joann's Fudge Greetings Box - or our Deluxe Five Slice Burgundy Box with gold lettering. We are officially open for the 2018 Season! May is a great month to visit Mackinac Island. The crowds are smaller and the Island is blooming with beautiful flowers in the downtown store planters and baskets, on the grounds of the Island Hotels and Inns, and in the gardens of the personal residences.